5 great hair care tips to keep your braids neat and tidy. Cornrows and braids are a great protective style for winter. There is nothing is more beautiful than a woman rocking a headful of intricate braids and cornrows. 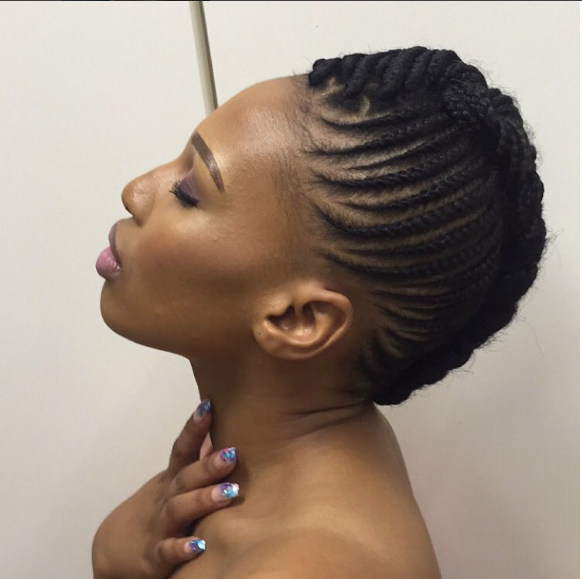 Actress Phindile Gwala, always has the best looking and well kept cornrows and braids. 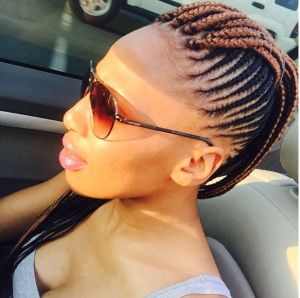 Phindile Gwala Follow these great hair care tips to keep your braids neat and tidy: Choose your hairstylist wisely Hair braiders come in many levels of expertise. Make sure you choose one that is experienced. Ask to see photos of the stylist’s work. This will give you a good idea about their level of expertise. Grow your own hair to a suitable length In order to get a good braid hairstyle, your stylist should have enough hair to work with. Cleanse your braids gently Shampooing your hair with cornrows and braids is not an easy. To clean down to the scalp without disrupting your style use a shower massager. Wrap your hair at night to prevent frizz and breakage When you’re sleeping, your hair comes into constant contact with your pillow and your movements cause friction and tension. This can result in fly away hair, frizz and breakage. Keep your salon appointments Listen to your hairstylist and keep your braids for maximum of 6-8 weeks depending on the style. This will help keep your braids fresh and your hairline in tact.